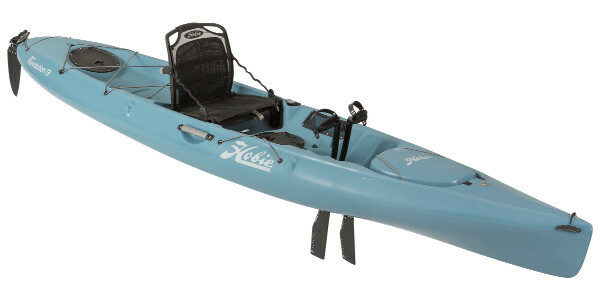 Kayaking form and function intertwine with the Revolution® 13. Whether you’re seeking a nimble kayak, a floating SUV, or an all-out dragster for settling friendly dockside wagers, the “Revo 13” stands ready. 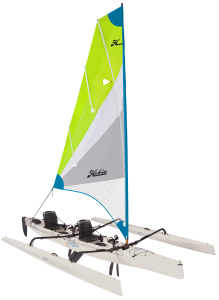 Featuring a lightweight, low-drag hull shape, the Revo 13 accelerates quickly and maintains speed with minimal effort; abovedeck, it’s designed for maximum hauling capacity. Three enclosed stowage spots (bow, midships and stern) and a generous stern cargo area facilitate everything from an evening paddle to a multi-day excursion. Now with a built in Lowrance- Ready transducer mount to make installing a fish finder/Transducer a snap.